Sometimes it can be rather tedious to download videos or music from specific websites, because you have to follow certain steps, or the contents are downloaded in undesired formats. 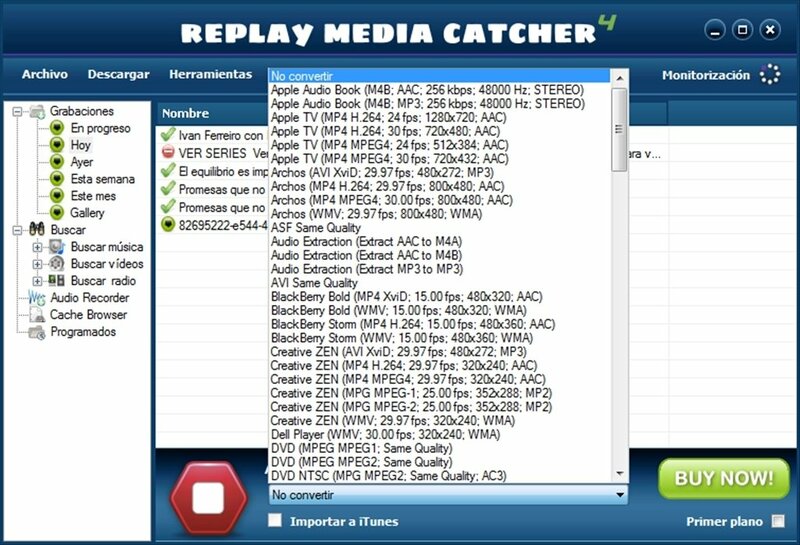 Replay Media Catcher is a program that downloads videos and music automatically. You only have to start to monitor and Replay Media Catcher will detect the videos played by your browser and automatically start downloading them. When you launch Replay Media Catcher, it will ask you if you want to start the monitoring process. From that moment, the program will detect all the videos that you play on your web browser and it will start downloading them. You'll be able to choose the format that you want them to be stored in, and Replay Media Catcher will download and convert them. Download videos and MP3 from millions of websites automatically! Lets you download videos from a large amount of websites. Allows you to capture MP3 files. Automatically convert the download to the format of your choice. 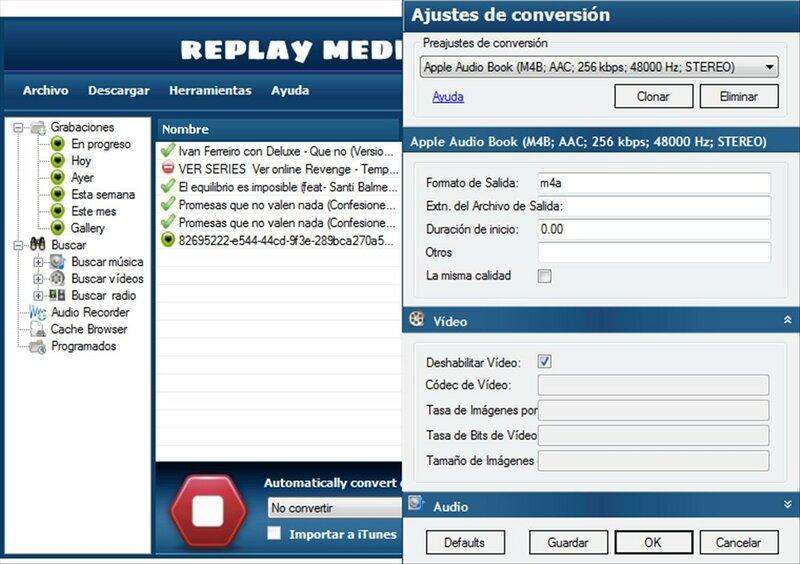 Don't wait any longer and download Replay Media Catcher. The trial version gives you the possibility to download full videos from YouTube and 50% of the videos from other sites.